From Kyoto, we decided to take a day tour of Hiroshima via the Shinkansen train. We left from Kyoto on the Shinkansen train at 7:40 in the morning and arrived in Hiroshima a little after 8:30. For those who are familiar with WWII history, the U.S. government dropped its first atomic bomb on Hiroshima in an attempt to end the war. 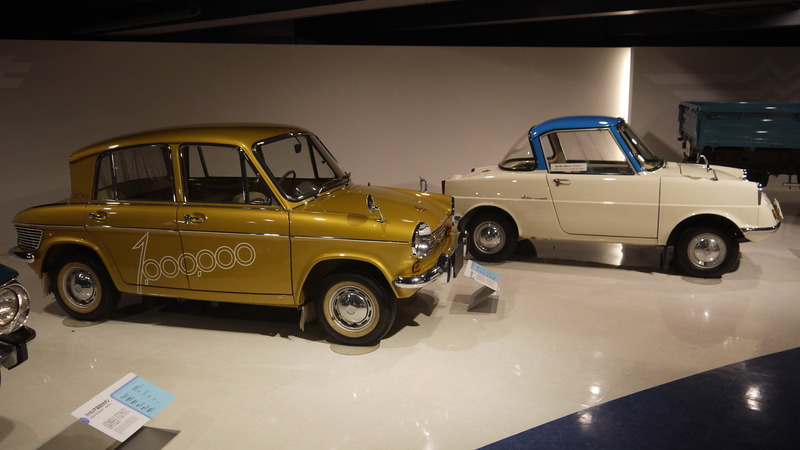 We wanted to pay homage to the bomb site and also tour the Mazda factory in town. From the JR station in Hiroshima, we had to make one transfer to the local train near the Mazda factory. The factory tour started at 10AM in the morning so we had time to stop by the pastry shop inside the train station for a little snack before heading to the tour. The pastries are made fresh in front of you and they are served warm. The shop we bought the pastries from had two flavors, red bean and white bean. I preferred the red bean because it is less sweet compared to the white bean. We became addicted to these red bean pastries near the train station. They are about $1 each or 100 yen, they are delicious served warm! 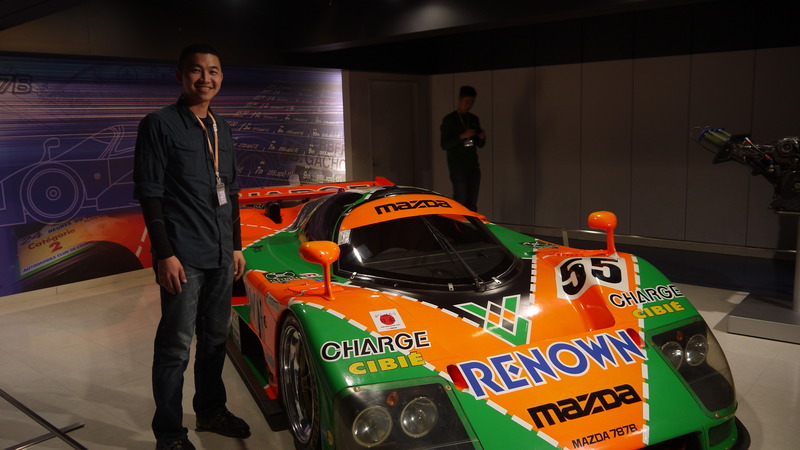 We arrived at the Mazda factory a little after 10AM. We started our tour getting on a bus being swifted away from the Mazda head quarters into the museum and manufacturing plant. The tour is 90 minutes, it is done in English and free to the general public. However, advanced reservation is required. Unfortunately, we were not allowed to take photos inside the assembly line. Watching how fast the assembly line labor workers were working truly brought a new meaning to efficiency. To top it off, we learned every car has different specifications, therefore not every car has the same details. This truly kept the assembly line on its toes! 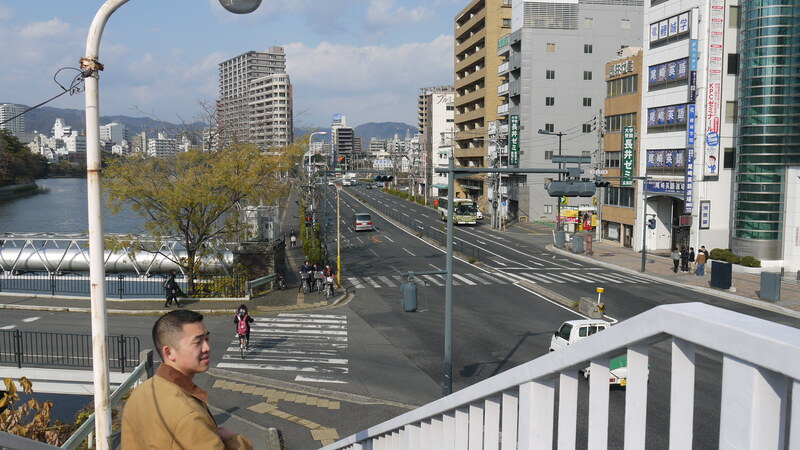 After our tour, we took the local train back to the Hiroshima station and walked around to see Hiroshima’s main sights. Being a new city that was just rebuilt after WWII, Hiroshima feels much more modern compared to Kyoto. 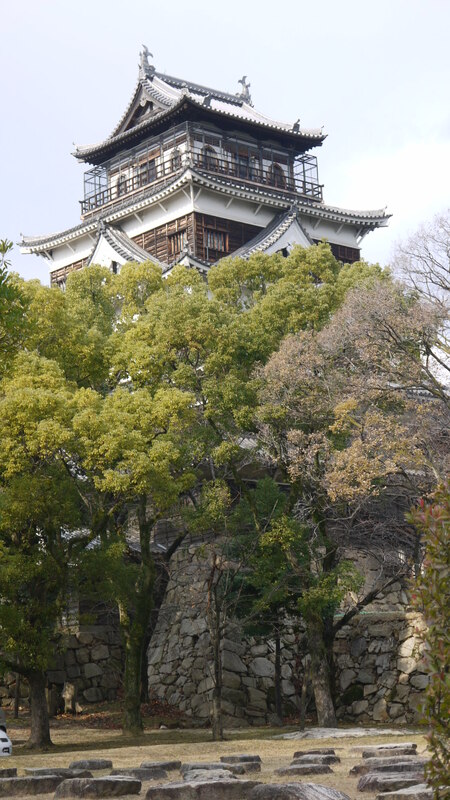 First stop was the Hiroshima castle. Unfortunately, the castle was closed for maintenance and I was only able to get a shot of the castle outside. We resorted to a lesser known castle down the street which no one was very impressed about. 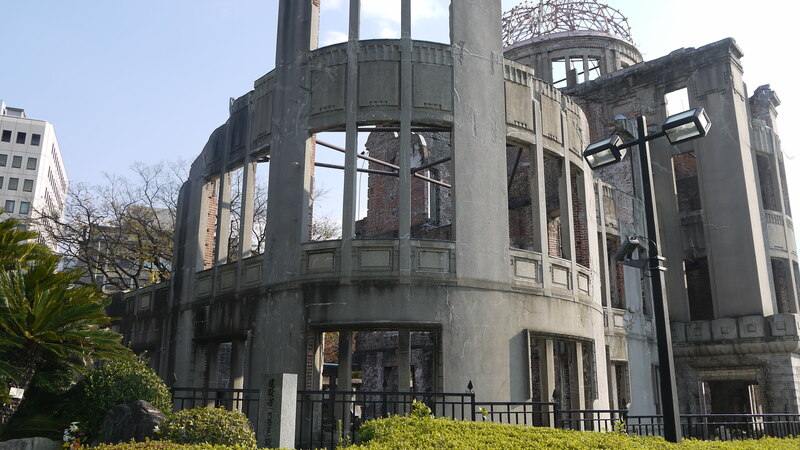 After the castle, we walked to the Hiroshima peace park and visited the museum. Museum entrance fee was 50cents and it took us about an hour to walk through. It was informative, touching, but to my surprise, it was filled with lots of political propaganda to encourage to world to stop all future use of nuclear weapons. We stopped by a Okonomiyaki restaurant for lunch. This is a Hiroshima specialty, egg noodles at the bottom with various egg and green onion flavors on top. It is heavier than most Japanese food we had on this trip but it was super tasty. 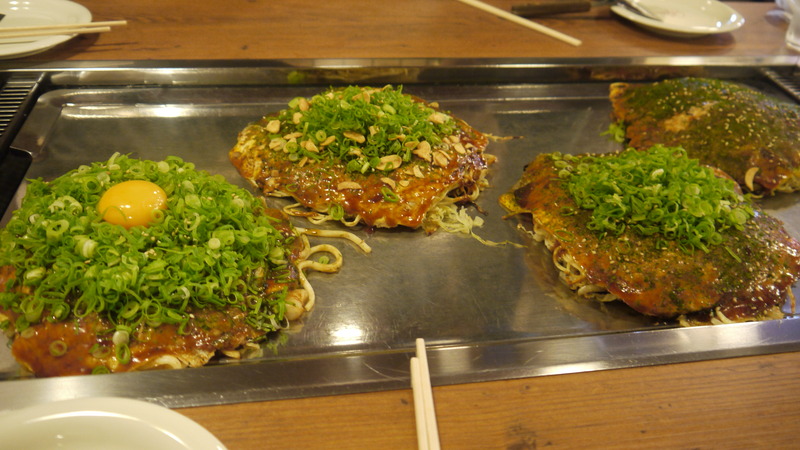 The Okonomiyaki was served on a hot grill to keep the food hot and the noodles crunchy. For about $10 per person, we left the restaurant completely stuffed! 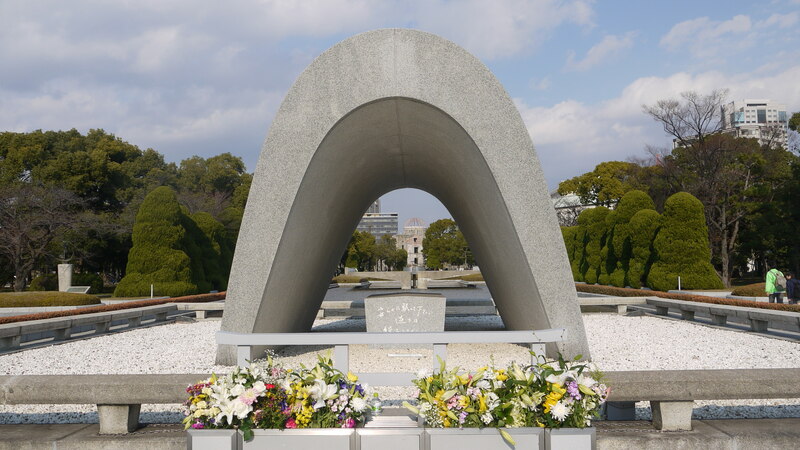 This entry was posted in Travels and tagged atomic bomb, food, good eats, hiroshima, Japan, museums, okonomyako, siteseeing, Travel by hikenoworklater. Bookmark the permalink.